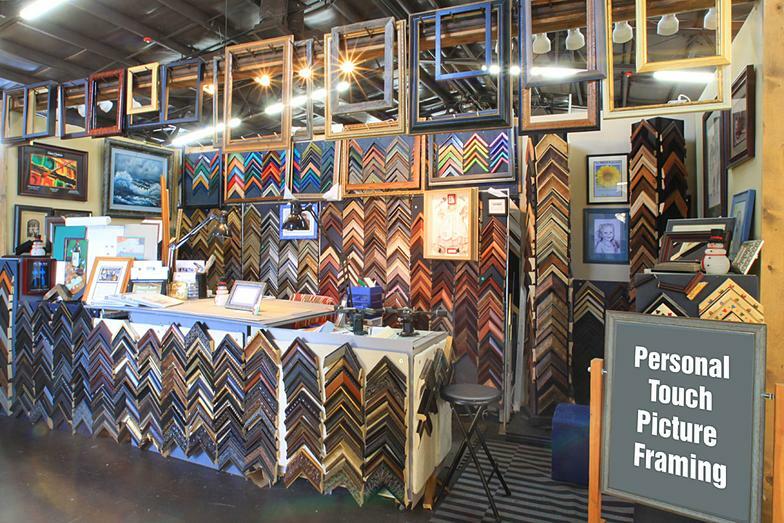 Kathy, of Personal Touch Picture Framing, invites you to check out what she has available to meet your framing needs without waiting for a half price sale somewhere else. Kathy has been framing for over 25 years and has a degree in art. She can assist you in making choices that will enhance your works of art. Feel free to also bring in pieces that just need glass, a new mat, or repair. The special rates described in the Great Deal Pricing (see below) refers to Frames that are in stock. Kathy has also made up a variety of pre-made frames available at half price including square frames and 11X14's and 16X20's. Because the cutting of the frames, mat and glass is done off site, you usually will see her at the design center at the Miller Valley Art Market between noon and 4:00. If you want to meet her in the morning or after 4:00, call 445-9299 and make an appointment.